With a nod to the past and an eye to the future the Nairobi Wing Relaxing Chair in White strikes a fundamental balance. The wicker relaxing chair is a one of a kind piece that has a traditional and sophisticated style matched with a current design. 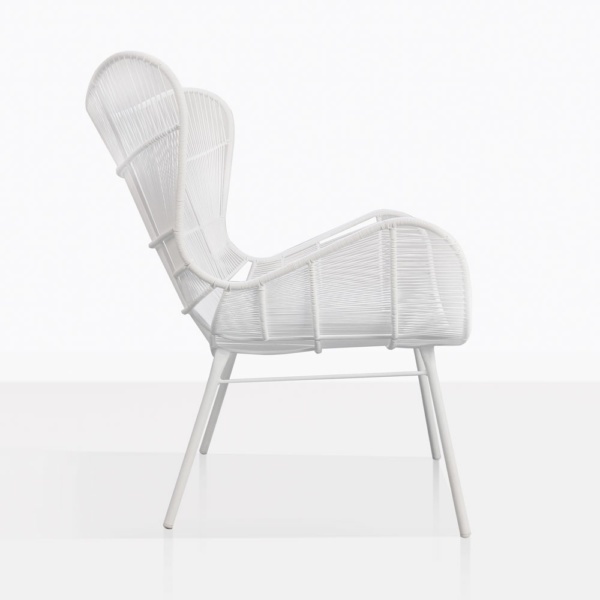 Find yourself melting into the deep seating and the high back for extra support as a refrain after a long day. The brilliant white complexion makes for a great addition to a variety of spaces. 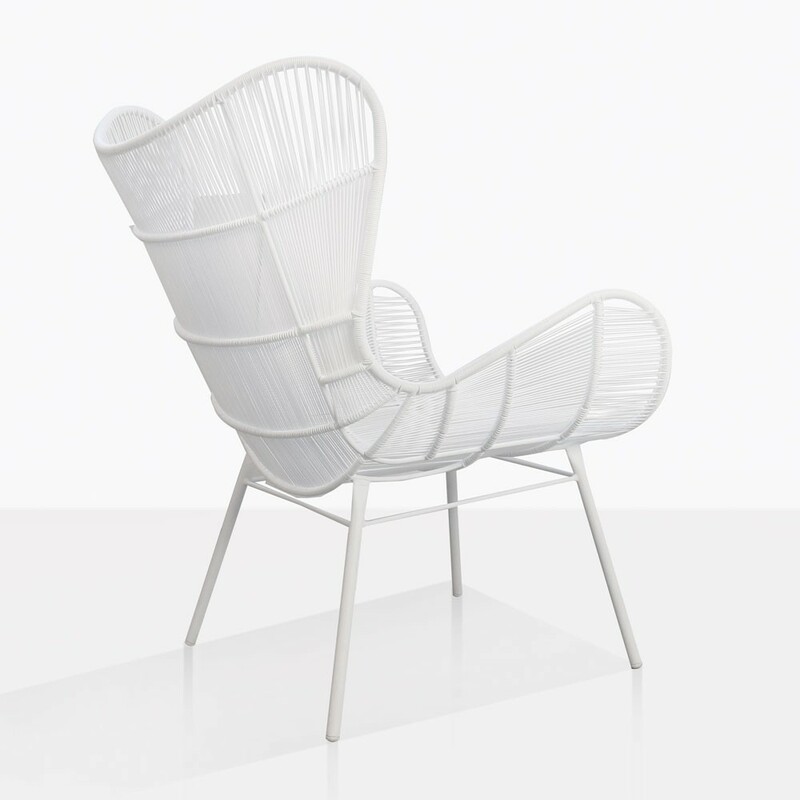 Whether indoors or outdoors this chair makes a reverential addition to a garden, patio, or living area. 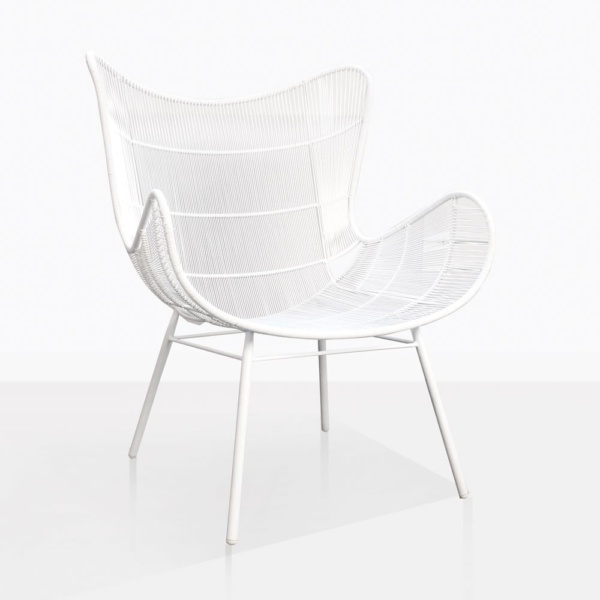 The smart integration of the wicker and powder-coated steel frame makes for an exquisitely crafted chair. 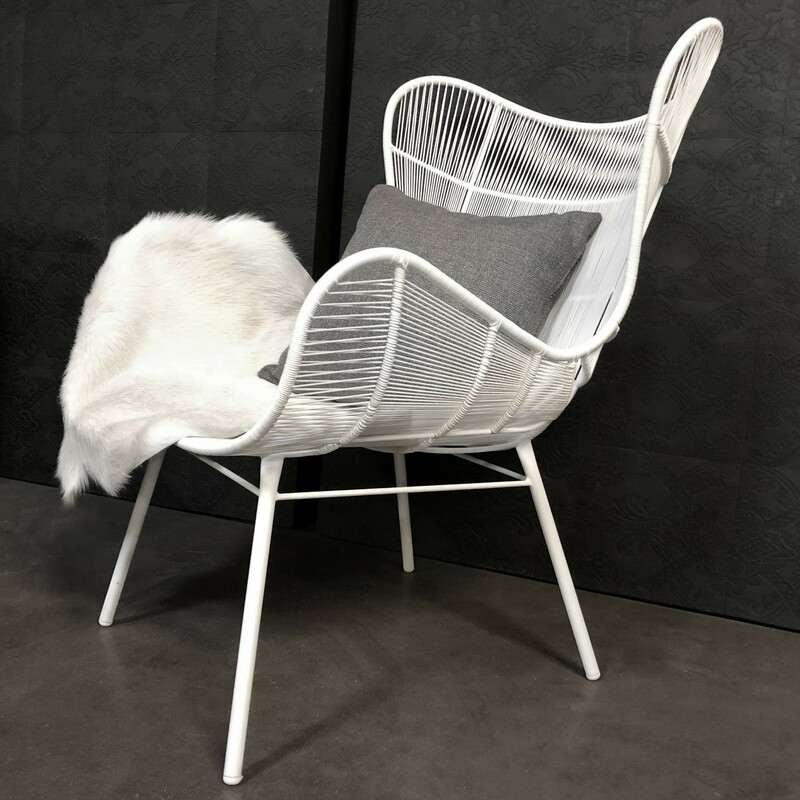 Place several of the Nairobi Wing Relaxing Chairs around one of our concrete fire pits or use as accent chairs and pair with any of our cool side tables. Call us today and chat with our team about the Nairobi Wing Relaxing Chair! W30.3" x D32" x H39.3"